and the work of other curious types. 14 February 2018, Wolverhampton School of Art. In considering skills in contemporary art and design education I want to explore the activities of the critical non-expert, the open-minded explorer and the hands-on crafter of things. I will consider the conceptual ability to pay attention to matters others might not value and the sometime desire to remain in and with uncertainty. I’ll discuss the haptic explorations of process, and the possibilities of speed or slowness as methods of making, as well as the determination to stay with (or eradicate) mess and muddle, and the intentional generation (or reduction) of complexity. Ultimately I’d like to think about the types of things that can be made as a result, the kinds of knowledge such practices can produce and the effects of this for the students with whom we work. Joanne Lee is a Sheffield-based artist/writer/publisher with a curiosity about daily life and ordinary places. Much of her work develops through a serial publication, the Pam Flett Press, which explores the visual, verbal and temporal possibilities of ‘essaying’ the everyday, and via the opportunities for production that arise in dialogue with creative and critical friends. This practice then informs academic publications including ‘Essaying the Pamphlet’ in Art, Politics and the Pamphleteer,forthcoming for Bloomsbury; ‘On Not Staying Put: Georges Perec’s ‘Inter(in)disciplinarity’ as an Approach to Research’ in Literary Geographies(2017) and ‘I see faces: popular pareidolia and the proliferation of meaning’ in Materiality and Popular Culture: The Popular Life of Things,Routledge (2016). 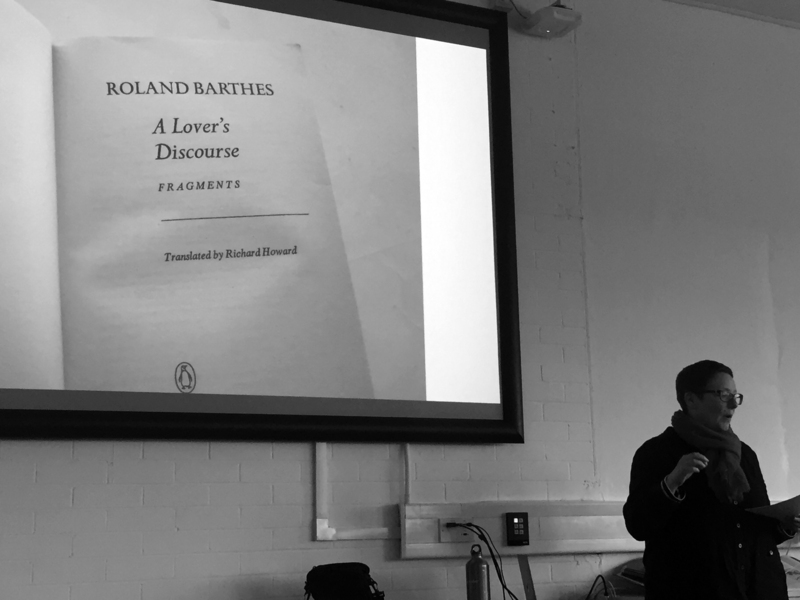 She co-curated a strand of Unconditional Love, the Society for Artistic Research’s Spring Meeting at Chelsea College of Arts (2015) and has presented at the Graphic Design Educators Network and Paradox European Fine Art Forum amongst other pedagogic platforms. She is Senior Lecturer in Graphic Design at Sheffield Institute of Art.